Struggling with low milk supply is, unfortunately, one of the most common stressors a new mom can experience. If you are struggling with a low milk supply, one thing you can do that can help you make more milk right now, is to eat the right foods! Yes! Some foods can, in fact, help you increase your supply. Keep reading to learn which foods can help you to increase your milk supply. The foods on this list are all considered to be galactagogue foods. I was a little confused when I first heard the term galactagogue. I thought it was some sort of very specific herb or drug. And it can be. But really, a galactagogue is any herb or drug or FOOD that can increase milk supply while breastfeeding. So basically, any of the following foods can be considered galactagogues. These foods are some of the more nutritional foods and more common foods that could help you make more milk. This is one of the most commonly heard about food to increase breast milk. It’s also a big ingredient in lactation cookies. Oats are pretty easy to make for a meal, and they’re loaded with energy and fiber. They’re also great for digestion, and they’re very flexible. If you don’t want a bowl of oatmeal, consider oat cookies or oat bread. There’s even anecdotal evidence that they can help manage or prevent diabetes after pregnancy. These not only give you more milk but also better milk. Chew on sprouted seeds and drink a glass of milk in order to avoid constipation after delivery. These seeds are easy to add to many meals as a flavoring and/or seasoning. Alternatively, mixing fenugreek seeds with rice means you can make pancakes. One precaution is that some moms notice their babies get gassy while they are taking fenugreek. So if you do use it, it’s generally recommended not to use for more than a couple days and make sure to keep an eye on your babies symptoms. These both have folic acid, calcium, and iron, making them great for any anemic mothers recouping from delivery. They can also help your baby get stronger, and they have some detoxifying elements to them. Both work great in soups, but don’t go overboard on the spinach as some moms notice it may cause baby diarrhea in large quantities. 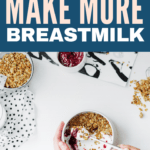 This is widely considered one of the best possible foods for increasing how much breast milk you have, since it’s famous for helping boost lactation in mothers that are nursing. Garlic has a lot of chemical compounds that assist with this. You can make it something you add to veggies, or just toss a few stir-fried cloves into a bowl of soup. Drinking a glass of carrot juice at lunch or breakfast will do a lot for your lactation. Just like spinach, carrots have great qualities that promote lactation. One of them is the presence of Vitamin A, which helps both lactation and milk quality. Carrots can always be eaten raw, but you can steam them to make them easier to chew. If need be, puree them into a soup. This is another home-run food for any mother that is nursing. It’s got a lot of fiber. It’s also got a lot of Vitamins A and K. Use it to stimulate lactation hormones in your body. Asparagus can be washed and chopped before boiling with milk. Strain this and then drink it for your own milk to be better. Research shows that this grain is great for enhancing breast milk production thanks to its hormone stimulants. It’s also a great source of badly needed energy after you deliver a baby. It should also boost your appetite, so you can eat more of the foods on the rest of this list, especially veggies which pair well with it. During your pregnancy and after, your body has some hormonal imbalances going on. Dried apricots have particular chemicals that can balance all of this out. They also have fiber and calcium. The source of this needs to be considered, as mercury risks can be possible depending on where it comes from. However, it’s a great source of omega-3 and essential fatty acids, or EFA. Both of these are very nutritious and quite essential for any lactating mothers. 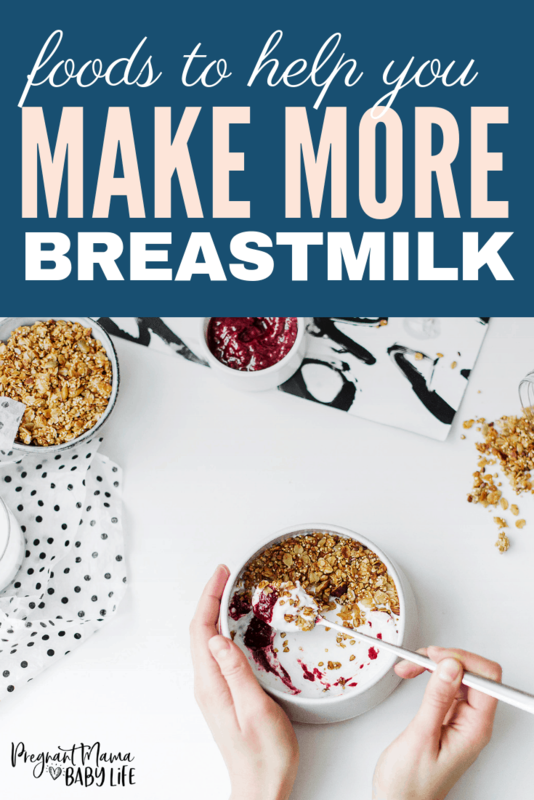 You’ll boost your lactation hormones yet again, while still making your milk even more nutritious. Enjoy it boiled, steamed, or even grilled. This is one vegetable that’s not often a preferred choice, and many haven’t even heard of it. However, it’s pretty high up the list in terms of nutrition. This summer vegetable is immediately helpful thanks to the tremendous water content, which helps you stay hydrated. It can be used as a vegetable filling or even to make sweet pudding. It may also help balance your blood sugar levels after delivery if you drink fresh bottle gourd juice. Whether you eat it or drink it, keep things fresh, and don’t store it. These are rich in Vitamin E and omega-3. The omega-3 is especially helpful in producing lactation-boosting hormones. These are a great source of protein as a snack. 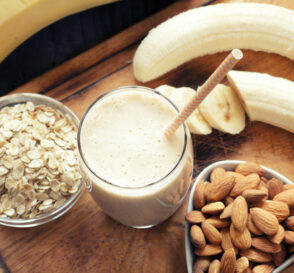 While boosting your lactation, they’re also a rich source of fiber, calcium, and B-complex vitamins. Soak them overnight before doing morning boiling, and use them in any salad. Drinking these definitely help with boosting lactation. Since your baby is taking fluids out of you, you need to replace them as much as you can. Your feed volume will go up, and you’ll prevent dehydration. Have water any time that you get thirsty or just before you start nursing. When you consume any of the foods to increase milk supply listed above, do so in limited quantities. Also, take note of any side effects if there are any. Whenever possible, opt for organic products. Pesticide residue in the foods and herbs can make thier way into your milk. Meaning they also are making their way into your baby. 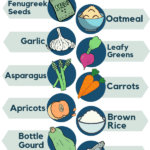 If you can’t afford all organic, stick with the “clean 15” and try to avoid the “dirty dozen foods” or just buy the dirty dozen foods organically. It’s also a great idea to avoid foods that help generate gas, such as pulses, raw banana, raw mango, and potato. Certain foods are thought to actually decrease milk production, so you might want to stay away from staples such as cabbage leaves, peppermint, parsley, and thyme. If you are committed to a vegan lifestyle, then you might want to talk to your doctor about nutrient supplements in order to be sure that both you and your child aren’t falling short in terms of essential and needed vitamins and minerals. If you’re wondering what foods increase milk supply these foods might work for you. , then you’ve now read a list of some, but not all, of them. 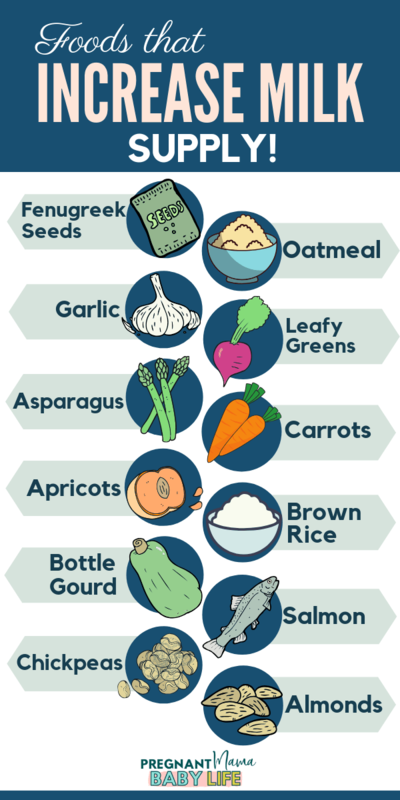 If you’ve chosen to breastfeed your child, try all of these foods to see how they work out for you, as they should help you have better and more milk. Is Your Diet Killing Your Milk Supply?